Don’t just convert your documents; transform them with OmniPage 18 innovations. OmniPage 18 is the fastest and most precise way to convert paper, PDF files, and even digital camera pictures into files you can edit in your favorite PC applications. It works with all scanners and you can capture text with a digital camera, iPhone® or iPad® 2. OmniPage 18 lets you turn documents that would take hours to re-type into perfectly formatted documents in seconds. You can even automatically receive and convert scans and pictures of documents from your devices through Microsoft Outlook email. OmniPage 18 is ideal for students, home office and small businesses. Readiris 16 for Windows is an optical character recognition (OCR) software package that converts an image, a PDF file, or a scanned document into a fully editable text file. Thanks to the power and accuracy of its recognition engine, Readiris 16 for Windows extracts the text from your documents with precision while preserving the layout of the original file. Optical Character Recognition "OCR" is the abbreviation of "Optical Character Recognition", it describes the process whereby an image is captured of a paper document after which the text is "extracted" from that image. Hence, paper documents are converted into editable computer files. And that's precisely what text recognition is all about: entering texts into your computer without retyping them. After all, as efficient as computers are, you have to key in your information first! Highest OCR accuracy for Mac OS X saves you time by eliminating the need to correct or retype documents. Automatically recognizes and converts documents in more than 180 languages - including documents featuring multiple languages. 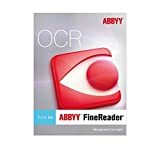 ABBYY FineReader® Pro for Mac turns scans, PDFs and digital photographs into editable formats including Apple® Pages®, Numbers®, OpenOffice.org™ Writer Document (ODT), Microsoft Office (DOCX), PDF and e-book formats. The most accurate OCR for OS X, it eliminates retyping and reformatting – reconstructing documents’ layouts including headers, footers, footnotes and tables. An intuitive interface featuring Quick Tasks makes jobs easy to accomplish – making it simple to update documents, pull quotes, and generate files for sharing and archiving. Repetitive tasks are easily automated via Automator and AppleScript support. And FineReader converts multilingual documents in over 180 languages in any language combination. Plus for mobile data capture, image pre-processing tools deliver optimal results from digital cameras. Don’t convert documents, transform them! How can you get the document into the format you want without having to do extensive re-typing or re-editing? Now the answer is OmniPage Ultimate. This innovative solution converts paper, PDF files and forms into documents you can automatically send to others, edit on your PC or archive in a document repository. Amazing accuracy, support for virtually any scanner, the best tools to customize your process, and automatic document routing make it the perfect choice to maximize productivity. Omnipage Ultimate provides the speed, quality and features making it the perfect choice to save valuable time, reduce costs, and get the most out of all your scanning devices and increase productivity for everyone. Improved accuracy in digital camera image recognition and document layout- OmniPage is the hallmark in document conversion accuracy and continues to improve with every new version. OmniPage Ultimate delivers, for example, an astounding average increase of 25% in OCR accuracy of digital camera images. OmniPage is also capable of automatically detecting whether the incoming image is from a digital camera and applies the appropriate 3D Correction technology for the best recognition result. Layout conversion also continues to improve, to faithfully reproduce your documents in a variety of output formats, with special attention to book formats when using the ePub format for mobile devices. OmniPage Launchpad- OmniPage is all about saving you time and it just got faster, easier and more convenient. The Launchpad application opens very fast. Before you even have time to react you will have the full power of OmniPage conversions at your fingertips. Now the quickest way to convert any kind of documents and send to any destination is by clicking on action buttons in the revolutionary tablet like Launchpad. How many applications give you that kind of power in so little time? OmniPage DocuDirect is the perfect low cost solution for occasional document scanning, conversion and document routing for small businesses or work groups that share a scanning device. It allows you to get the most out of low volume scanning devices like some digital copiers, MFPs, and All-in-One devices that have limited document conversion and network document routing capability. OmniPage DocuDirect can be installed on a network server or shared computer that is connected to one of these devices and can automatically send converted files to a predefined destination, multiple destinations or on-demand to anyone, anywhere using barcode workflows created with the OmniPage Workflow Assistant. Most productive and accurate conversion to Searchable PDF- PDF files are everywhere and can come from a variety of sources. They can include scanned pages, embedded images, and text based information. Some of these elements don’t include searchable text but it is not obvious to most people and therein lays the problem. Using a typical OCR process to create what’s known as a Searchable PDF is a solution but it only works on scanned PDF documents that have not been altered. Forcing an OCR process on text based PDF files will unintentionally destroy text elements in order to create a Searchable PDF format. To solve the problem of creating Searchable PDFs from files on disk without damaging existing text elements we created the eDiscovery Assistant for searchable PDF in OmniPage. This process intelligently analyzes PDF files of all kinds and determines only those PDF files, or pages in a PDF file that require an OCR process. We have migrated this very productive functionality into OmniPage DocuDirect so the process can be centrally located using a watched folder on a server and handled automatically. Download file recovery software to recover deleted files from your hard drive, an external drive, USB flash drive, or camera sd memory card. Restore files that haven't been overwritten, or prevent future recovery by overwriting and scrubbing your hard drive. 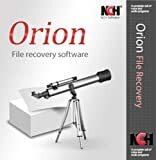 Orion file recovery software opens with a wizard, which will guide you through the process to either search and recover files or permanently delete files. PaperPort Deluxe 8.0 lets everyone in a small business take control of their daily paper flow. PaperPort works with a scanner or multifunction machine to turn paper documents into electronic files, and helps manage them along with other electronic documents in one convenient, easy-to-use filing system. PaperPort's thumbnails allow users to visually organize, retrieve, use, and easily share scanned documents and other electronic documents like Word, Excel, and PDF files. Plus, PaperPort's editing tools ensure that scanned documents will look right while PaperPort's annotation tools let users add notes and highlights on top of any scanned image. Readiris Pro has won more than 80 industry awards and has over 12 million users worldwide. Version 11 is the only OCR software available for OS X Tiger! A new OCR engine makes Readiris Pro 11 better than ever, reaching up to 99.9% accuracy. 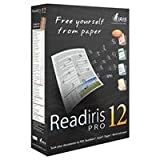 With Readiris Pro 11 you can quickly and easily transform paper documents into electronic files you can edit and then output into your favorite application. Readiris Pro 11 not only retypes the text but also reproduces the original layout of your document perfectly, including columns of text, titles, fonts, bullets, tables, graphics and more. With Readiris Pro 11 you can also transform the information locked in PDF files into editable text.